A new job is often a time of excitement in one’s life. And for good reason. Though joining a company can be challenging (if not downright daunting for some), a new job comes with its own set of opportunities: for learning, for better finances, for new relationships, and for personal growth. If the job’s worth it, chances are it’s gonna take real commitment to overcome the challenges and get to the next level in your life. In this article, we’re going to look at the 5 stages of becoming part of a company. By recognizing these stages, you will be able to navigate the adaptation process more confidently. Also, you’ll be able to gain better clarity on whether you and Company X are a good fit for the long haul. Some people think first impressions don’t matter, yet I personally tend to believe they are windows into truth itself. Ok, that might be a little strong, but in a way, a first impression is your inner voice telling you what it thinks before you had time to project your own biases onto the matter. Your impression of a company doesn’t start when you first go in for an interview. Even before, little things like how the company presents itself, how the job description is composed, how HR communicates with you – all these form an impression. It’s not unwise to follow your instincts here, as little details like this shed light on how professional the company is overall. Other great indicators of what may lie ahead are the company’s tangibles: the office building, the interior design, the kitchen, computers and equipment. All these reflect company culture and values. Don’t think of these lightly. Last but certainly not least, the people themselves. Your first day on the job can be a bit overwhelming. So many new faces and names to remember. However, the impressions formed on your first day are usually the truest. The ‘disorientation’ phase lasts for the first few days or weeks when everything is still new to you. A constant flow of new information and new impressions will put you in a daze by the end of the day. The flip side to this is a serious boost in energy. The brain is designed by evolution to be in survival mode when thrown into a new social environment it must adapt to. 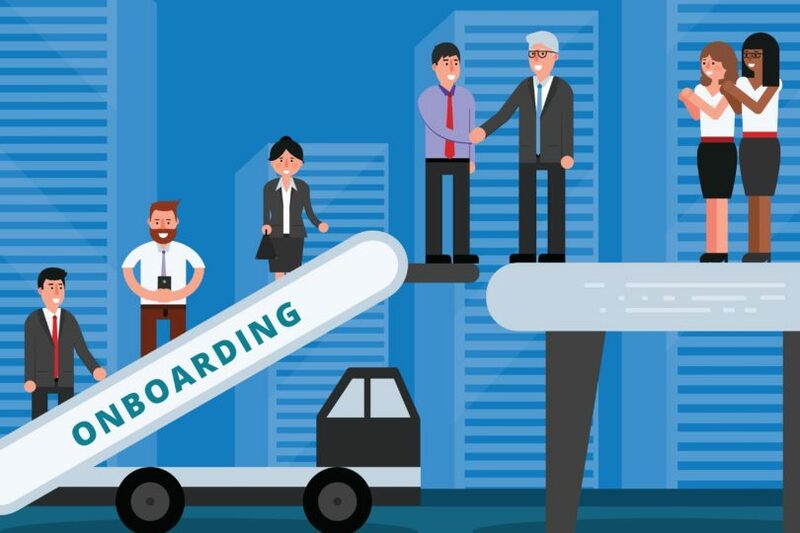 A sure sign of a great company is a well-designed onboarding process. First, this means the company cares about its employees and wants to set them up for success. Secondly, this means they are efficient and have competent management. The next stage is getting accustomed to everything. After the initial whirlwind of new impressions and learning activity, things begin to subside a bit. From a professional standpoint, you’re starting to get enough experience to tell what’s important and what’s a waste of time. In other words, you’re begining to get a feel for the essence of the job. This phase usually lasts from 1 to 3 months. The fourth stage is when you finally start settling in at the company, and things begin to take more or less routine shape. Everything’s becoming ordinary to you. What’s important from a professional standpoint – you know the nuances of how to work efficiently with your team. This is when you already have well-formed impressions of the main people you see and what their personalities are like. You also start paying less attention to the new people arriving at the office. The fifth and final stage is when you’re not only well adjusted to the job but have a realistic understanding of what you’re capable of accomplishing within its context. This is where you’ve reached the critical point: what have you learned from your experience and which future path will you decide to take? Ultimately it’s up to you to decide what you want to do and with whom. As the saying goes, life is what you make it. At the same time, it’s hard to know what’s best for you unless you actually go out and do it.